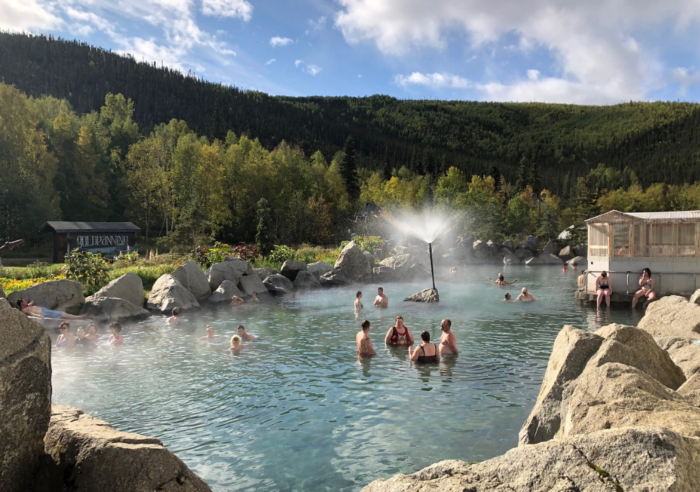 A trip to Chena Hot Springs is a wonderful adventure and something anyone who visits the area should take the effort to enjoy. 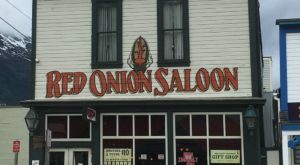 Drive along the beautiful country road about an hour out of town, stopping at any of the awesome hikes or riverside access points. 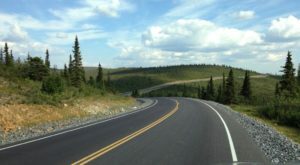 The area is full of opportunities for outdoor activities and scenic views. When you arrive at the hot springs, the mineral waters will soak away your troubles and your tension. 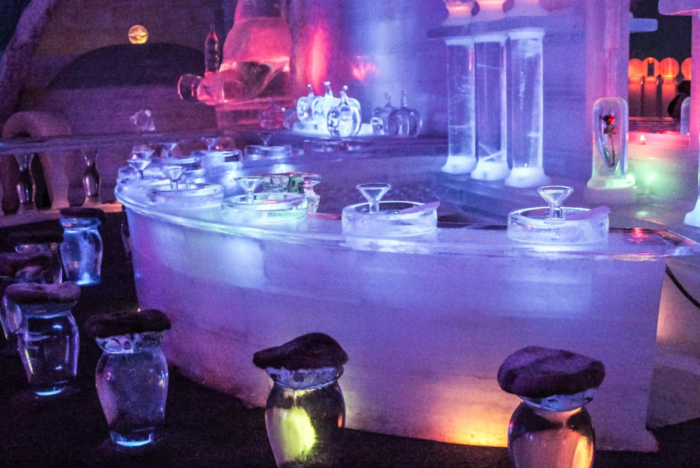 See the beautiful Aurora Ice Museum, watch the northern lights, stay at the elegant hotel, or just take a dip in the outdoor pool for a truly memorable time at this beautiful hot springs. 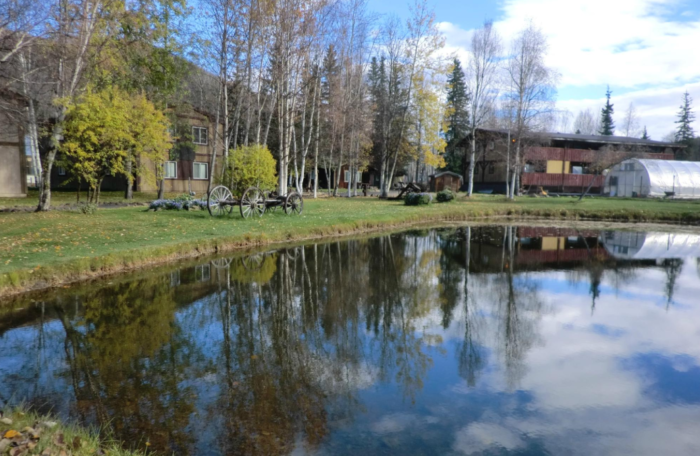 Welcome to Chena Hot Springs, your all inclusive location for interior Alaskan beauty, attractions, and relaxation. 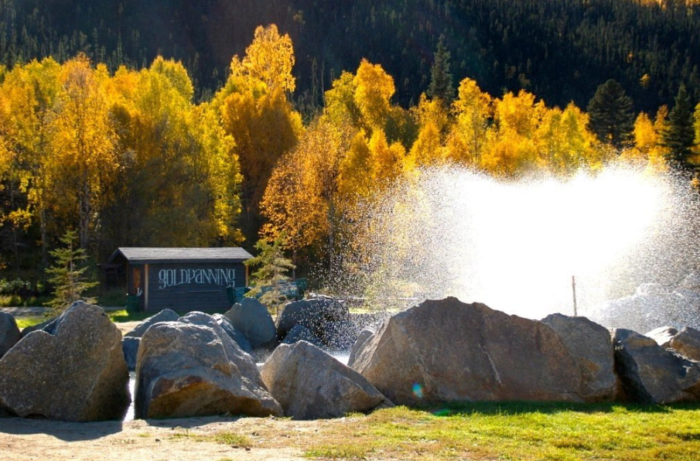 This beautiful hot springs is perfect for any season. In the summer, the grounds are beautifully kept with flowers and trees everywhere. The midnight sun shines all night and the hiking trails are a country dream. 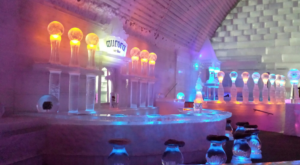 Even on warm summer days, you can enjoy the beauty of the ice sculptures in their temperature controlled Aurora Ice Muesum. 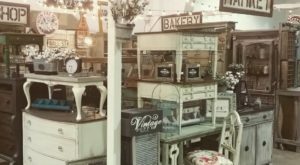 See incredible works of ice sculpture art crafted by the professional team Steve & Heather Brice. Fall is beautiful in the area and the the leaves turn the world into a sea of gold. The weather is also cool enough to contrast the hot springs. 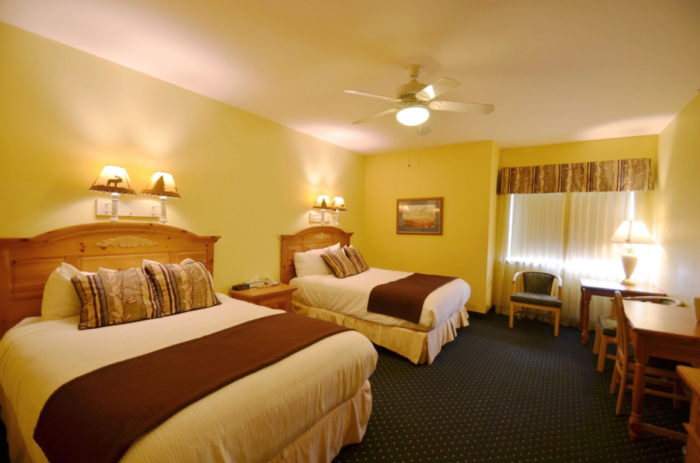 The hotel is elegant and fresh, recently remodeled and perfect for a weekend getaway. After your dip in the pool, it's heaven to retire your room and then go back for another session of hot mineral water therapy. 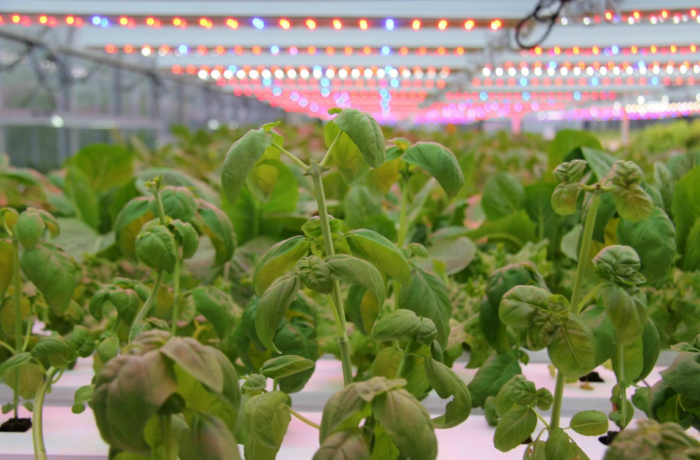 Using geothermal energy, they grow fresh vegetables all year-round in the greenhouses producing "Chena fresh" greens for the restaurant. The famous Rock Pool is the perfect place to relax in any season. A quiet pool heated to perfection with steam rising from the surface. 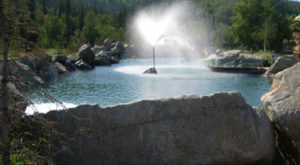 Relax in this beautiful hot springs pool and feel your cares melt away. 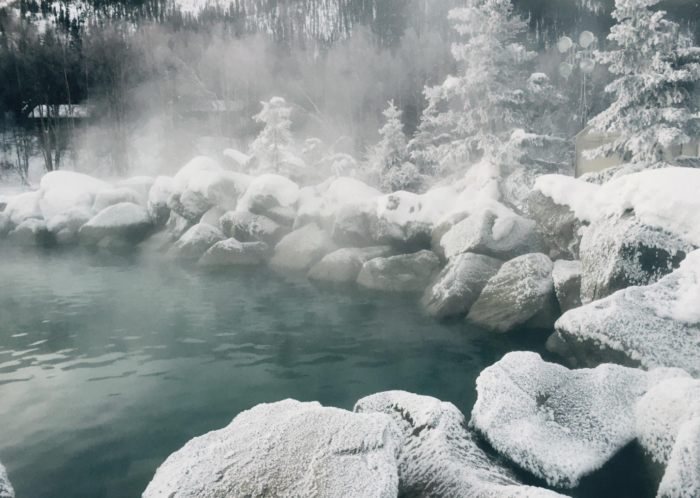 The pool is wonderful any time of year, but when the temperatures drop to arctic levels of cold, the hot springs are truly divine. The northern lights (aurora borealis) are often visible in the winter months in this locale with low light pollution. 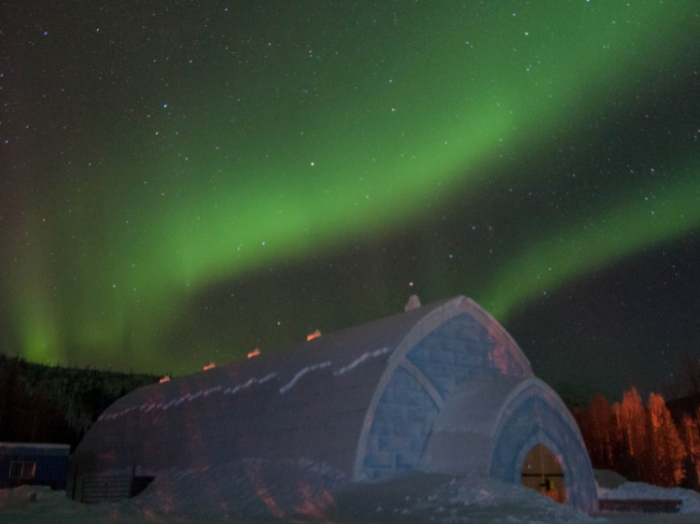 The Aurora Ice Museum looks beautiful under its namesake. 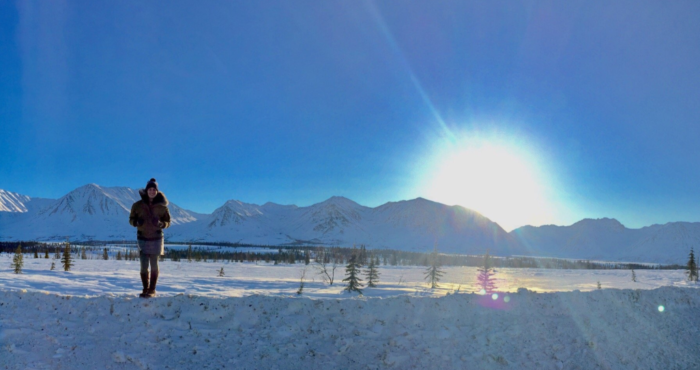 The spring is cold, but with the light coming back it's a perfect time for long cross-country ski trips and dog sled rides. Everything is always followed by a relaxing dip in the beautiful hot springs. 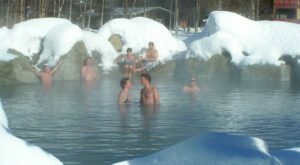 Visit Chena Hot Springs any time of year. 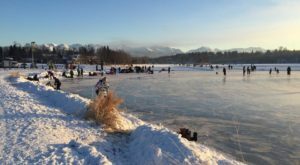 In the summer visit the ducks in the duck pond, in the winter ice skate away the afternoon. 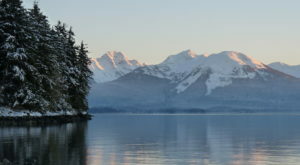 And relax in at this beautiful slice of heaven in Alaska. 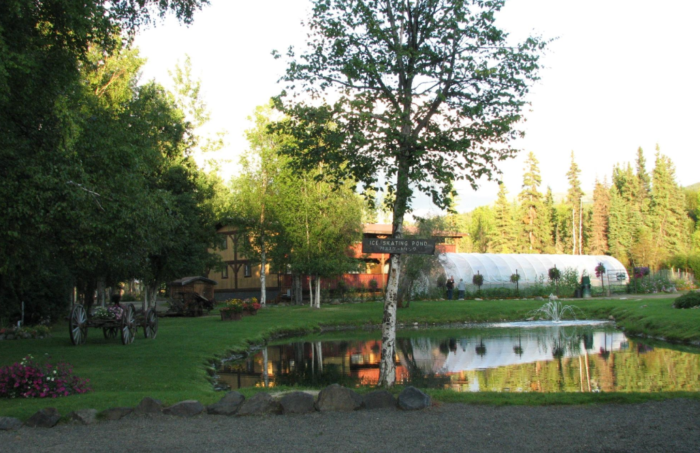 To complete your rustic adventure, book a trip to Stay At This Arctic Farm For A True Taste Of Life In Alaska. For more about the ice carving location, The Largest Ice Museum In The World Is Here In Alaska And It’s Absolutely Amazing. 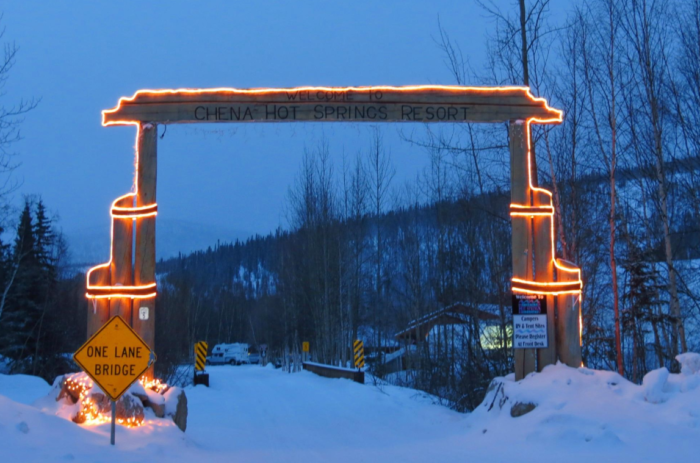 Have you been to Chena Hot Springs lately? Tell us about it in the comments below.